If you're tired of your standby steamed or roasted broccoli and need a recipe that is interesting, delicious, and healthy, look no further. This versatile Asian broccoli stir-fry recipe goes with almost any meal and is a definite crowd-pleaser. The trick is to lightly steam the broccoli and then stir-fry it in a flavorful sauce. Toasted slivered almonds sprinkled on at the end give it a nice crunch. Although similar tasting to take out, this recipe is most likely much healthier since you are controlling the ingredients. And feel free to taste and adjust the sauce to your liking—just don't add too much sugar or this stir-fry will lose its healthy quality. This Asian broccoli stir-fry pairs nicely with ​five-spice chicken, grilled Korean beef or super simple baked salmon. Or double the recipe and serve over cauliflower rice for a meatless meal. 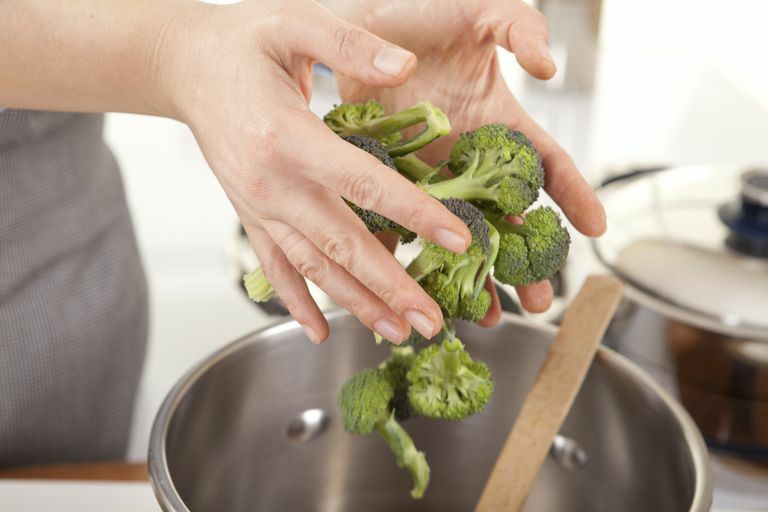 Lightly steam broccoli florets and chopped stems in a steamer basket placed over a pot of simmering water or microwave in a covered container in a small amount of water for 3 minutes. The broccoli will turn a bright green. While the broccoli is cooking, toast the almonds. Heat a skillet over medium heat and add slivered almonds (you can add a small amount of oil if you like, but it's not necessary). Toast until just golden, watching them closely as they can burn quickly. Set the almonds aside in a small bowl until just before serving. Make the sauce: Whisk together soy sauce, sesame oil, sherry, and sugar in a small bowl. Heat the oil in a wok or large skillet over medium-high heat. Stir-fry the broccoli in hot oil for 1 to 2 minutes, until almost tender. Push to the edges of the pan. Place garlic and ginger in the center of the pan (add a little more oil if needed), and stir-fry 30 to 60 seconds, until fragrant and just lightly browned. Add the sauce to the pan, and mix all the ingredients including broccoli together with a large spoon or spatula. Transfer to a serving bowl and sprinkle with toasted almonds.